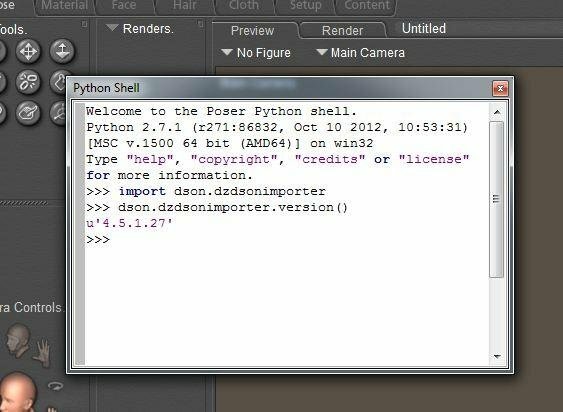 DSON Importer for Poser 1.0.0.27 is now available! 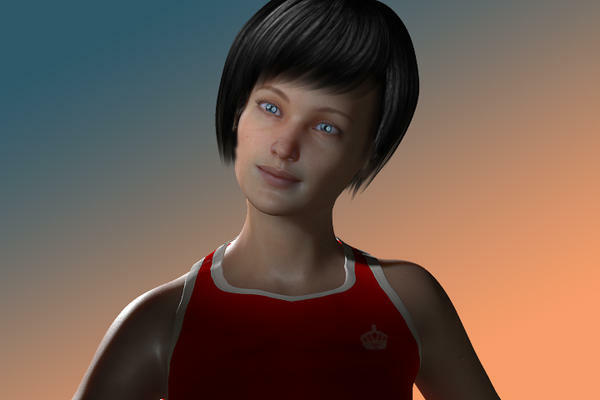 DAZ 3D is pleased to announce the release of DSON Importer for Poser, version 1.0.0.27! The 1.0.0.27 version is a bugfix release. It resolves several issues with the loading and/or handling of DSON format content. All new downloads of the product will be of this version. A change log with additional information can be viewed on the Documentation Center. 1) This release resolves the "SetGamma" error message popup for Poser 9 users, introduced by the previous release (1.0.0.13), when loading DSON based assets that apply images to a surface. 2) This release fixes loading issues with some saved scenes that the "Transfer Active Morphs" script had been used on. 3) Modified import so that only subd props come in with smooth polygons enabled. For more information on the previous release (1.0.0.13), see this thread. Do we have to uninstall the previous version or do we just run the .exe again and it will overwrite? The installer asks if you want to uninstall and advises you do, I just made sure yes was checked and continued on with the instillation. Is there a way in Poser to tell which version of DSON is currently installed or do we have to keep checking our account history for the version number? Is there any kind of list of which files have been converted to DSON files. For example....The Troll for Genesis has been converted. I can't see one, but it might be possible to add the version number to the log (as DS does, for example) - you could make a feature request through the bug tracker. Thanks, just installed it too. I never did have any trouble with it but updated just in case. and hit return - the version number of the importer will then be shown. Very good Richard, easy to understand !!! Glad the new built solves the library problemes some folks had, but when will the broken Poser scaling be fixed ? With neither the (newly improved) Poser scaling working, nor Genesis' built in moveable joint centers being directly acessible in Poser, Genesis' flexibility is severely crippled. All my characters are created strictly following real world proportions, so I do need a working and fully controlable way to lenghten or shorten limbs, broaden shoulders, re-scale feet and hands, etc. Scaling works great in Studio and it (finally) works great for every other figure in Poser, too, so what is the problem ? Another quick question on updating. Do I need to download and update the Genesis Starter Essentials as well each time the plug in updates? No, just the plugin was updated. it worked out in the end , but I have to say the genesis clothes were missing a few basics which caused some problems & the applying of morphs was far from perfect. Still I'm intrested enough to keep an eye on Genesis even if I dont throw huge sums of money at it. ImportError: DLL load failed: %1 is not a valid Win32 application. Is there a solution to this problem? In skimming over the past DSON threads I didn't catch one. I am using the most recent DSON installer and Poser Service Update. And since some little snot is going to point it out, I also used the 64 bit DSON installer. Poser 9? If so it's a 32 bit application and you need to use the 32 bit DSON installer even if you are running Poser 9 on a 64 bit machine. That did it. Should teach me to preemptively call anyone a "little snot". 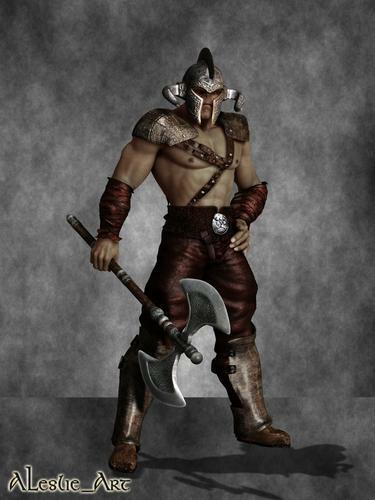 I've noticed there's a lot of Daz Originals that seem to be rather slow in getting converted. LIke the Royal Elf for Genesis, and it's textures. I could do it myself if I could figure out how to save things in the new duf format but the one time I tried it said something about needing the morphs or something. Question regarding DSON and the UV Sets. Is there an easy (or not easy?) way to SWITCH the UV sets using DSON ? Mec4D has a nice free little uv switcher on her site. LOL, great minds think alike! Cheers! Great minds and a great product. I hope she'll update it for H5 and Stephenie 5 once they get Steph DSON compatable for her uv mapping and all. Yeah, they really should get round to that. Why have characters and poses when you can't use the base figure! ?